Since the past 29 years as a Malaysian, I never understood the meaning of Gaya Guru Gerai Nyemai other than Gawai being a harvest festival. 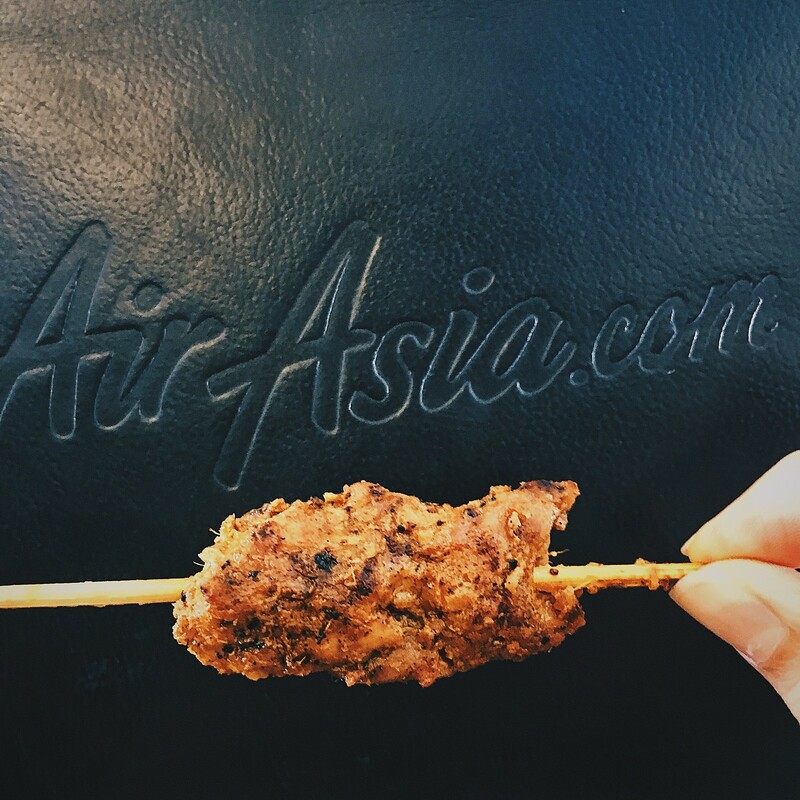 When AirAsia SG presented me with the opportunity to celebrate it with the locals, I immediately jumped on board. 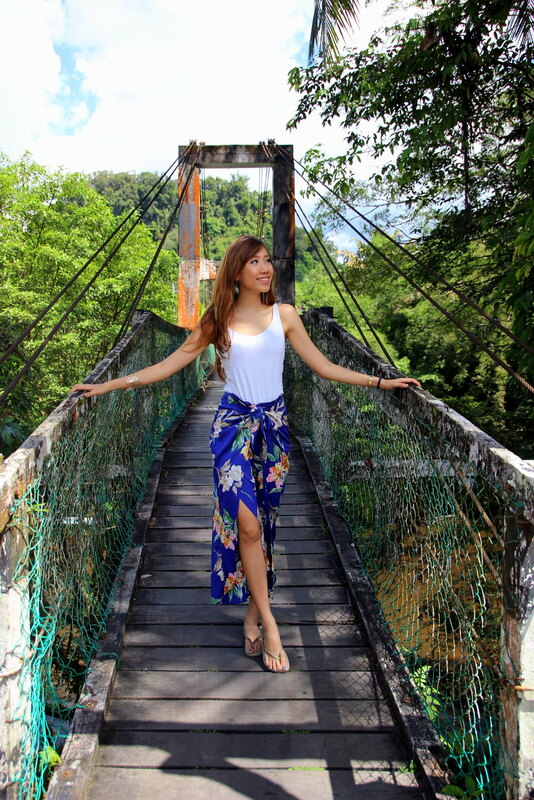 Not because I’ve never been to Sarawak, but because East Malaysia has always felt more like a cousin than a sibling – when it’s not. Completing this trip has allowed me to fulfil yet another duty in understanding my country even deeper. Having tried different styles of traveling, I’ve no shame in admitting that I’m not the adventurous, outdoorsy girl with a backpack who has a passion for creepy crawlies, nor sees them as God’s wonderful creations. 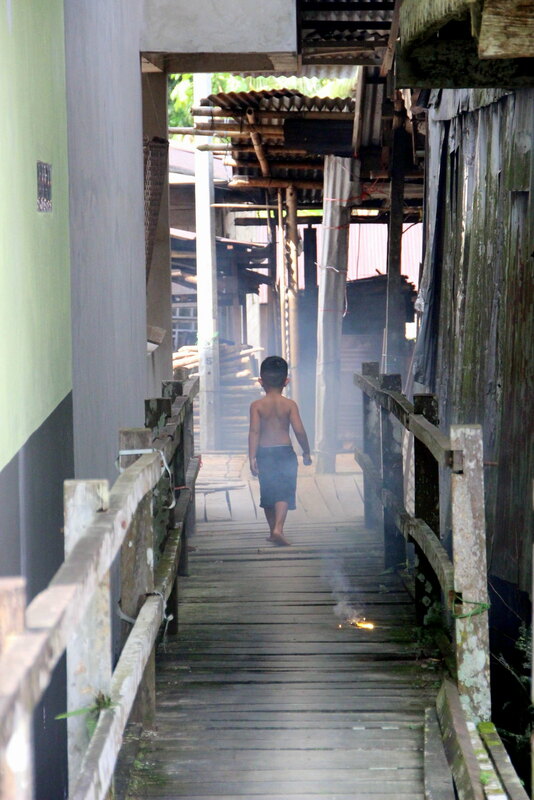 Nevertheless, that didn’t stop me from experiencing what it’s like to stay overnight at a longhouse – to eat, shower and live like a Dayak, and celebrate Gawai (merrymaking) or drink like one for that matter. If you can relate to what I’ve been saying so far, then this post is dedicated to you. We stayed at Imperial Riverbank Hotel Kuching on day 1 and day 3, which scores 10/10 for location if you ask me. Rooms aren’t fancy but wide, clean and practically designed; fulfilling everything a guest requires (except hair conditioner). To give you an idea of where center is, the ‘Orchard Road’ of Kuching is where Hilton Hotel is located. Shopping, like many parts of Asia is a culture on its own here; hailing malls like Vivacity or Spring Mall, launched by Phua Chu Kang years ago. 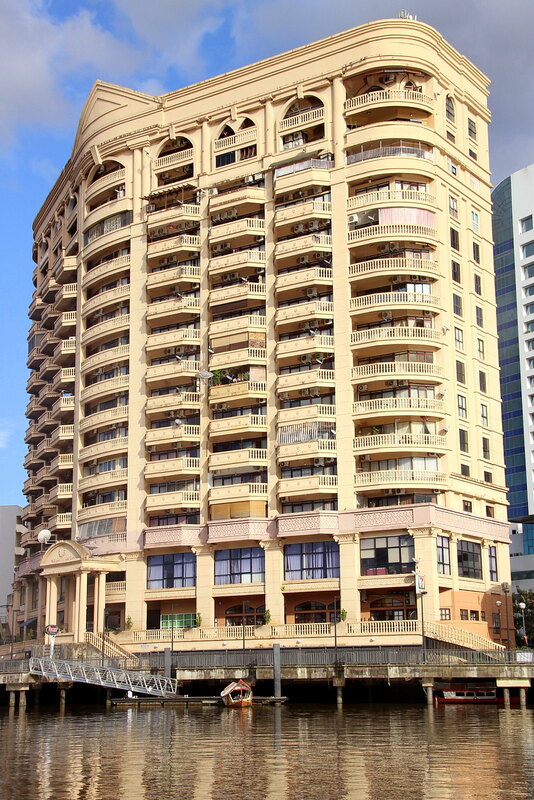 A landed property near the latter emporium used to cost RM7000 in the 70s. Can you guess how much it is today? This museum was once a burial ground, until the government managed to convince Chinese land owners to pass it over. It is a very brief but compact museum; as long as you pay attention to details. We learned that Sarawak has 2 strong meanings attached to it; that is pineapple and antimony (the latter they have stopped producing). Also, little did I know that there is such a thing as hornbill ivory and that the horn is made of the same materials as our nails! 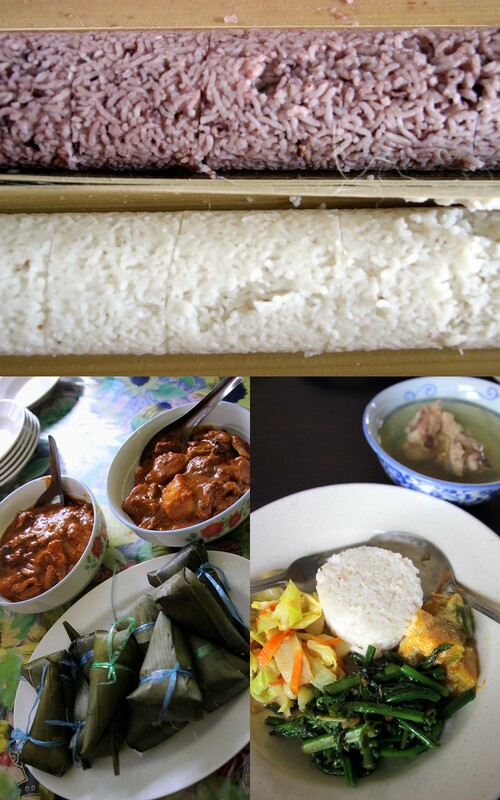 Any Kuching-ites will tell you this: If you want to buy kek lapis (Sarawak layered cake), the only place to do so is at Mira’s. Not anywhere else; definitely not by the streets or riverbanks. I am pretty much a ‘default setting’ person, so I got the original flavor called ‘Lapis Book’. You’ll have to go early or book in advance for this one (I suppose that’s how it got its name)! If you like flavors, Pandan Cheese is great too. Don’t forget to try their dates and raisins black cake called Kek Hati Parek. 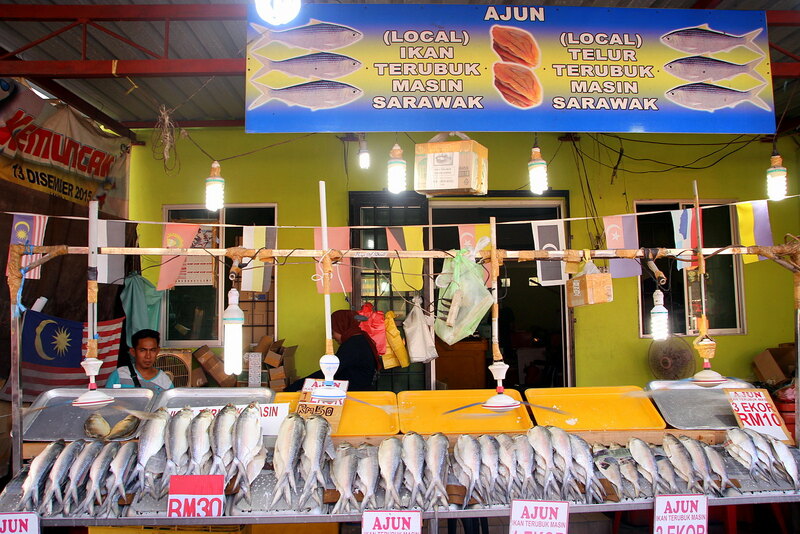 To the left of Mira’s you’ll find a stall producing their own salted fish which is one of Kuching’s specialities too. Highly recommended by our guide is the salted fish eggs (RM70 per packet) to be eaten with porridge and a bit of lime. Does sounds very interesting. This corny cat at the entrance of Chinatown is called Puteh, and I was told that the right way to pose with it is to do a high five. At the exit, you’ll see 4 cats ‘waving’ goodbye. 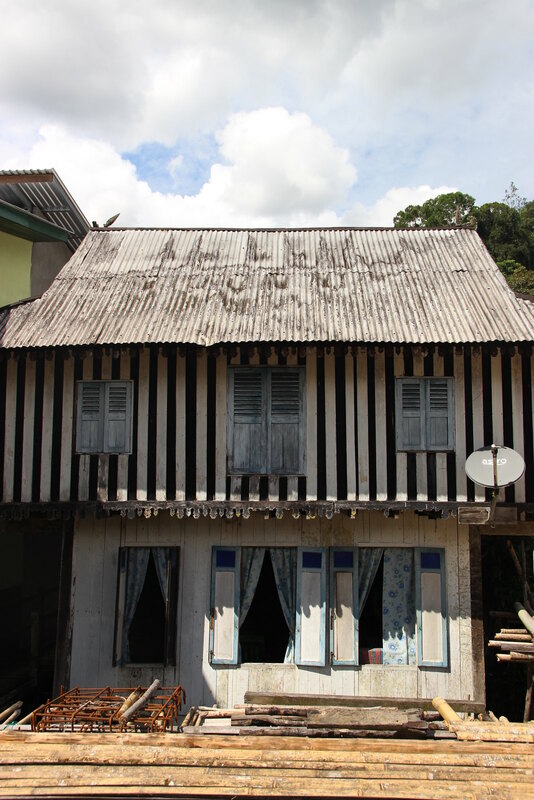 This area, also known as Padungan, flourished since 1928. Today, the shops along this street selling everything under the sun from onions to imitation Crocs, are worth RM 1 – 2 million per unit. 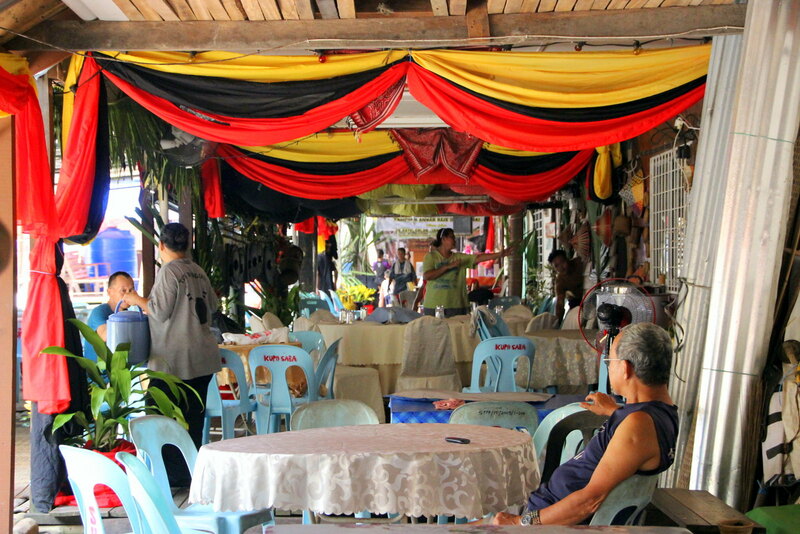 At Padungan, locals frequent Taipan Corner for lunch and bring their guests to HK Noodle House. On the right of Gerbang Perpaduan is a non-halal karaoke evening makan place, where locals while away. The best kolo mee, according to our guide, comes without a name, located next to Liew Advocates along Temple Street wearing a Nescafé sign. The Museum Shop and Cafe (No.96 Main Bazaar) is a place filled with Sarawak-ian books that transfers you to another world; a little gem where foreigners working in Kuching love coming for lunch, especially on a dreary day. A great place for light meals and fabulous juices. ChinaHouse Cafe, located within the Old Court House opposite Fort Tower, opened by an Australian lady in Penang, is where Donnie Yen and Jackie Chan came to visit fans. This gorgeous place is definitely worth checking out. 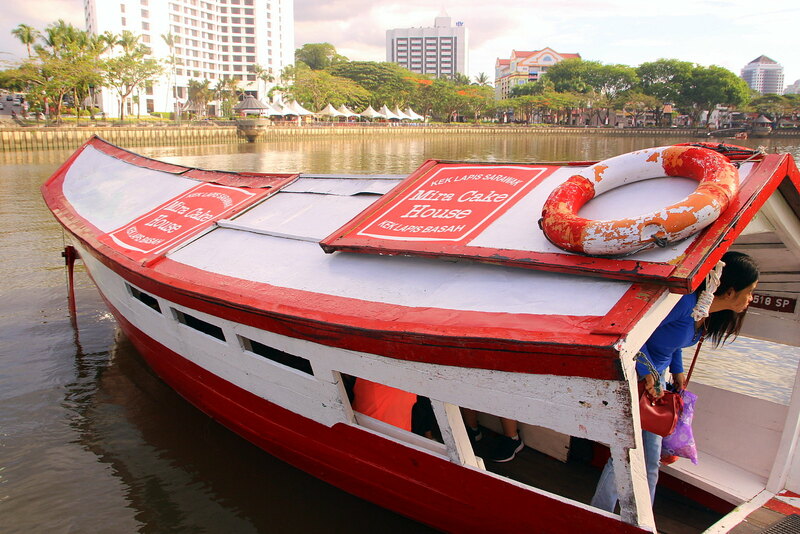 Read my complete Kuching in One Day guide here. Feeding time is 9 – 10 a.m. and 3 – 3.30 p.m., so come early for a higher chance to catch them. March to August is the best time to see wildlife in Sarawak. You can adopt or be a sponsor – a copy of the orang utan’s birth cert will be given to you. There are 4 species of 104k orang utans in the world (reported in July 2016 by ICUN). 28 of them, including 3 of the species, are at Semenggong. 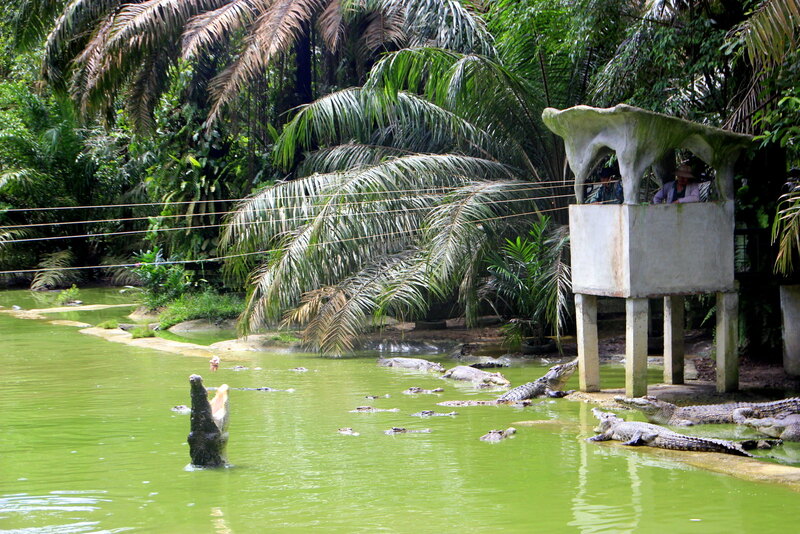 Matang Wildlife Centre at Batang Ai, a premier orang utan centre, has close to 2000! 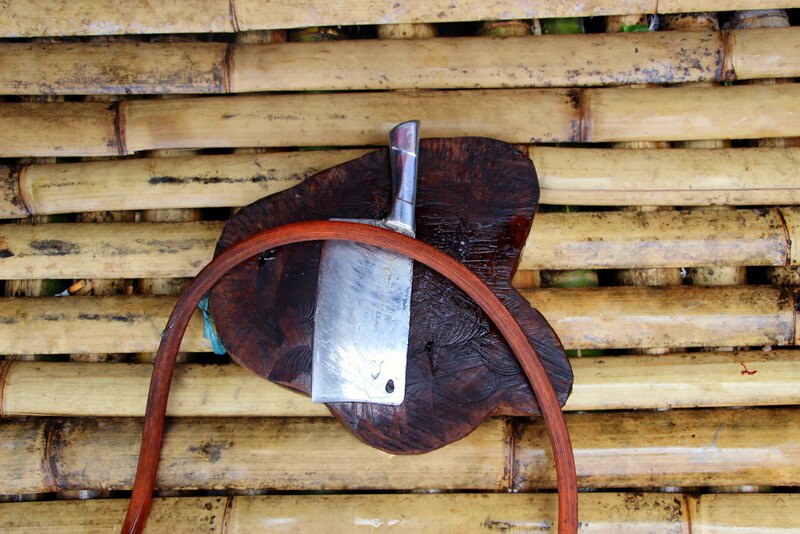 Situated near Kalimantan research areas, it is not for the faint-hearted. The challenging journey is 180 km away from Kuching, also reachable by helicopter at RM 4K per hour. So far, it’s just the Germans that have done that. In Sarawak, red is the new blonde, which means red heads here have more fun! Borneo orang utans are cute, plump, and rock red hair. Males have flanges or cheek pads, which allow them to hear as far as 1 km away. 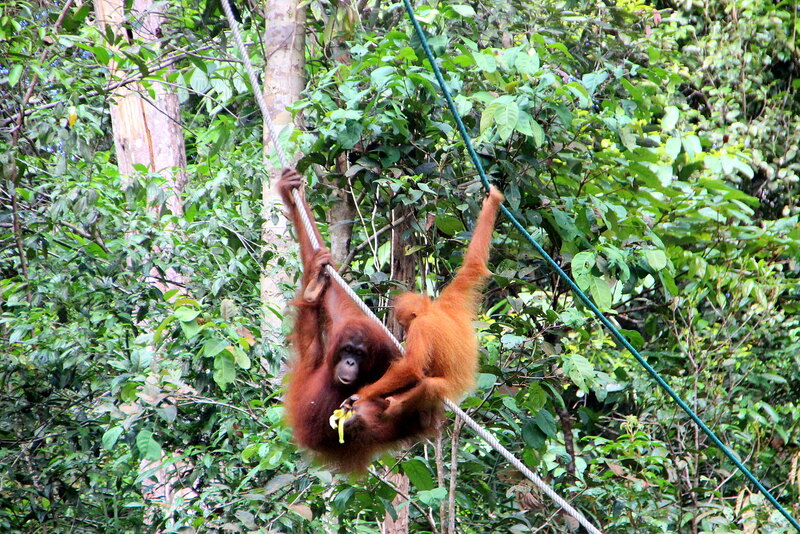 I was glad to know that the orang utans here feel safe so they actually reuse their nests. 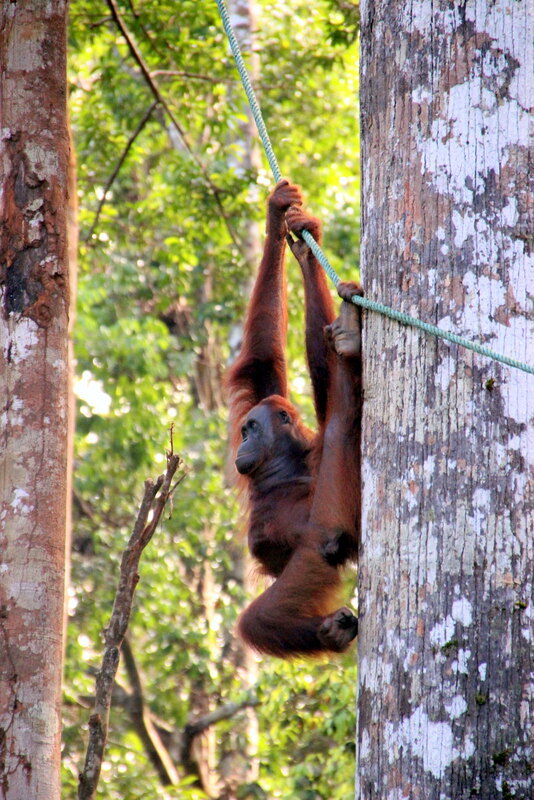 An orang utan nest can hold up to 60 – 120 kg. Similarly like a pent house concept, ‘the higher the better’, higher orang utan nests usually belong to the females to avoid horny males. The ‘no love policy’ is practiced at this rehabilitation centre to keep them wild. You might be surprised to learn that when an orang utan runs to someone for a hug, it will be shot with water so that it runs to a tree instead. This teaches them run away when danger comes, not to humans. There is no 100% guarantee that visitors will get to see orang utans during their visits. While we might be disappointed, the handlers here are happy because it means their plan to teach and protect them, is working. After a very special morning, we continued our journey to get acquainted with the longhouse that’s expecting us. It was the eve of Hari Gawai; a celebration as big and meaningful to the Dayaks as the eve of Chinese New Year, X’mas, Hari Raya or Deepavali. 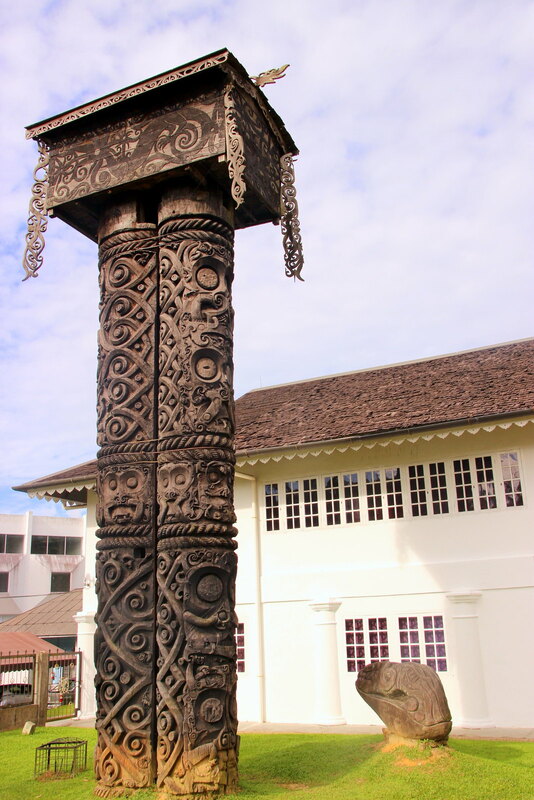 In the olden days, Gawai was celebrated on different days at different districts until 1965, when a proper date was set to 1st June for a uniformed celebration throughout the largest state in Malaysia. I’ve always wondered what a longhouse looked like. Finally, not only did I see it with my own eyes; I even stayed in one. 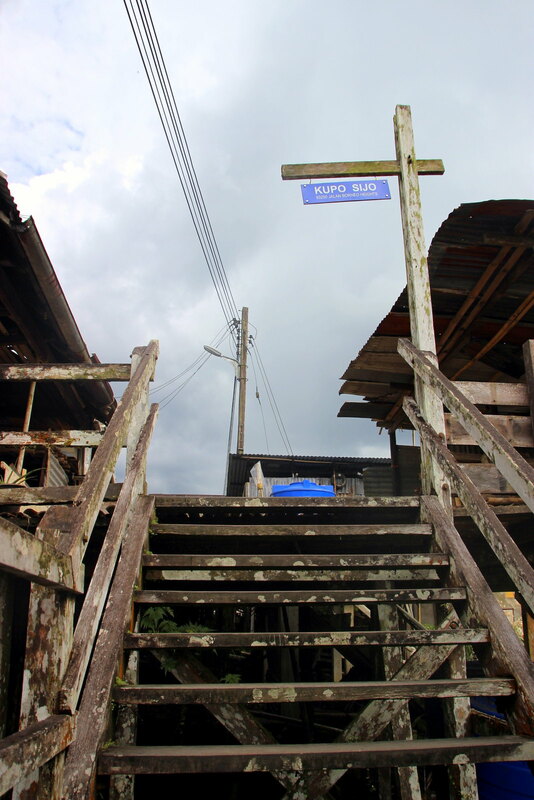 There are only 4 or 5 longhouses left in Sarawak. 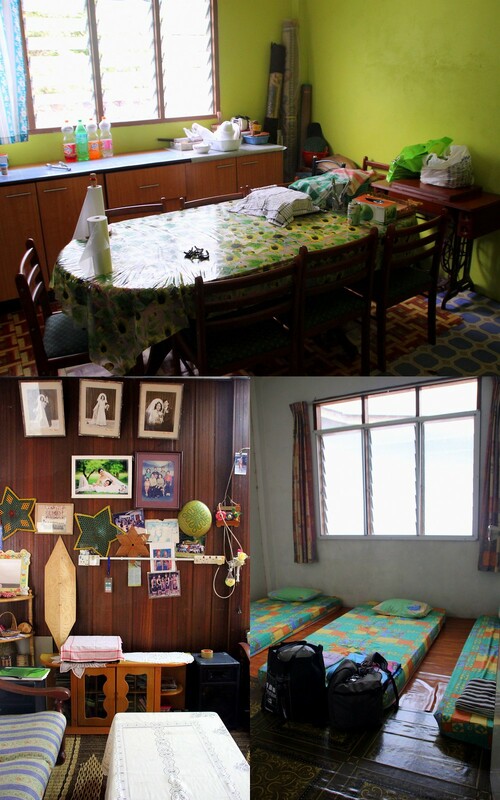 Usually foreign tourists go to the Iban house, 300 km away (the nearest one is 70 km) from Kuching, which is more traditional. If you are a puteri lilin (candle princess) like me, save the challenge for never. 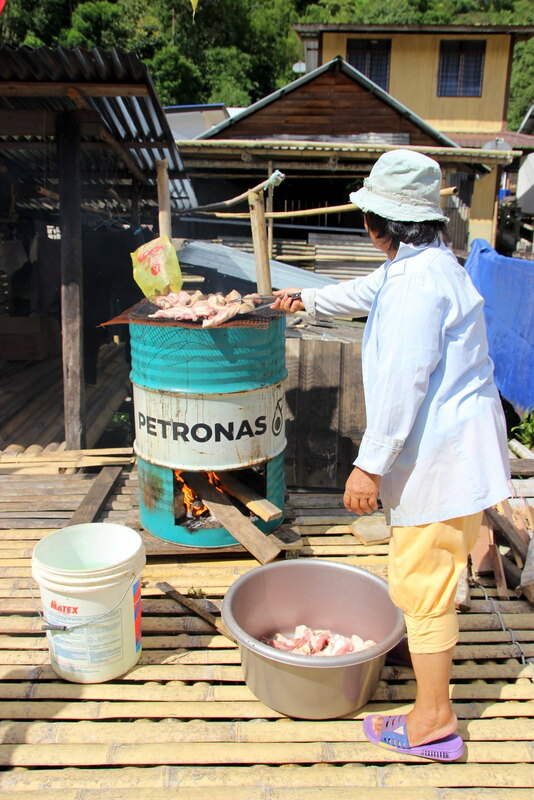 Because most parts of Iban houses are made of zinc; turning it into a giant sauna for any living soul to sweat a bucket. Electricity will only be available for 3.5 hours a day (between 6.30 p.m. – 10 p.m.) plus limited water, leave alone internet. 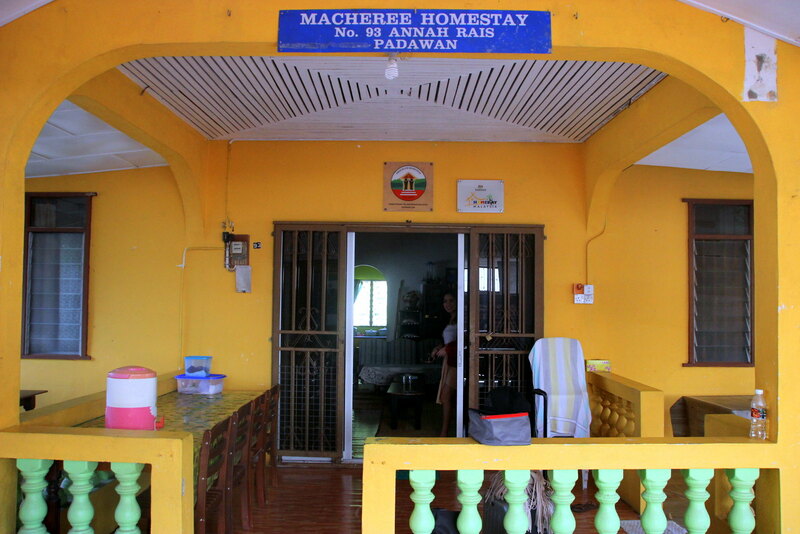 As we are here to also enjoy the celebration and not ‘ruffle our feathers too much’, Macheree Homestay it is! 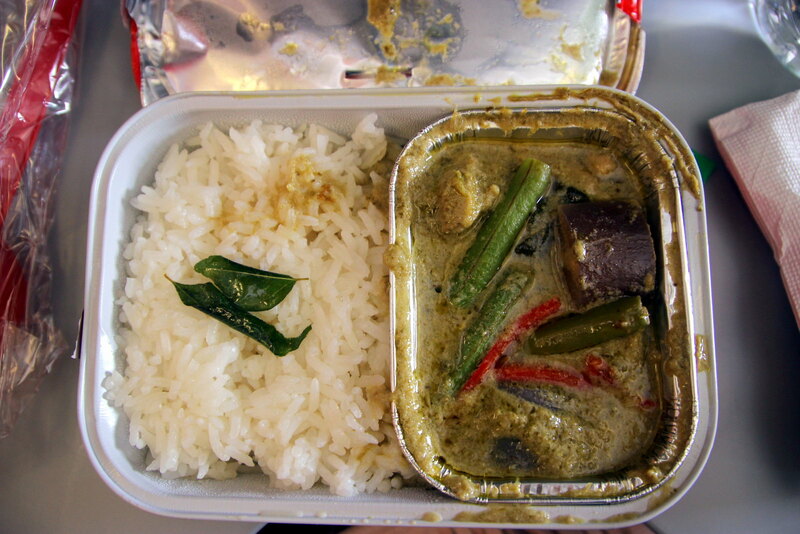 Every meal was home-cooked, seriously organic and served with lots of greens. Every time our host reminded us that the kampung-fed chickens on our plates are from their own barn, I felt a tad healthier already. 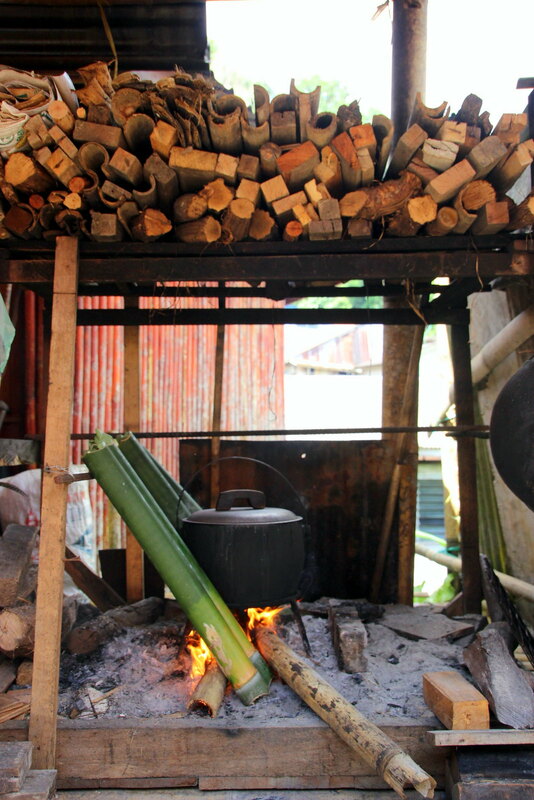 Rice was always cooked with leaves or bamboo ala lemang, giving it a tinge of rustic fragrance. Meet our tour guide, Antoni, and kuching! 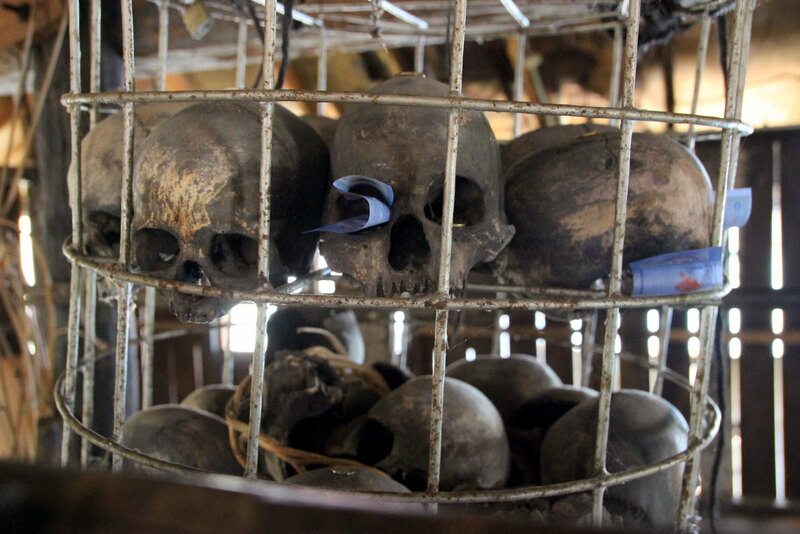 An old Sarawak tradition: These are real human skulls. Taken heads must be kept in baskets, buried in the ground for worms to do the work or in the river where fishes do it. Some fed them to pigs, because chopped heads couldn’t be presented with flesh. Those days, women would say “no head, no hunt” – the more heads a man take down, the more sexc / heroic he is. 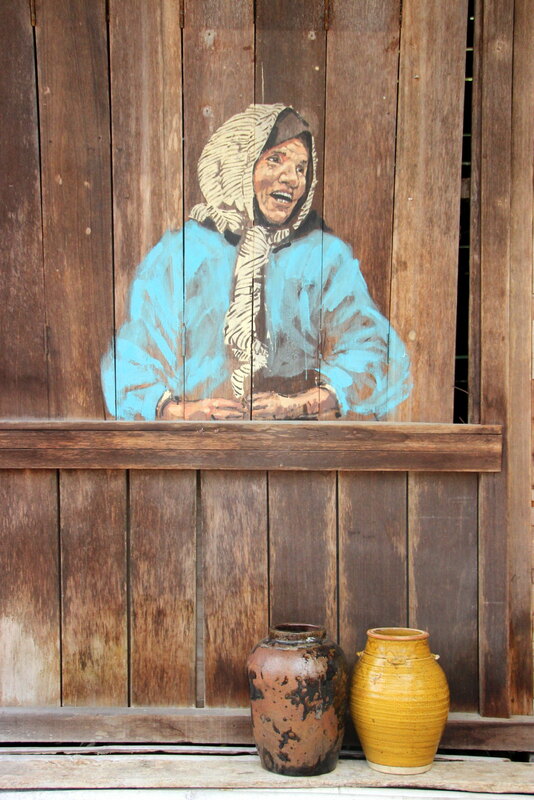 Everyone in the village / longhouse comes together to cook and make a grand potluck dinner. Bamboo is seen here again with chicken soup inside! As the celebration commenced, we enjoyed a grand spread of authentic Dayak cuisine, watched traditional performances with the gong chiming therapeutically at the background, sipped rice whisky, danced and cheered on Antoni karaok-ing to raise funds for the charming community. I’m not a huge fan of reptiles and amphibians, so this is all I have for you under crocodile farm. God ain’t got no love for arapaimas . . . they are so, so fugly. Perhaps it’s wise not to Google it if you don’t know what it is. Honestly, the 1.5 hour cruise is nothing to write home about, so I’m gonna end my post here. Thank you, AirAsia SG for this wonderful opportunity! Now I am proud to say that Gawai suddenly means so much more to me than just a public holiday in the east. If you would love to be part of this unique celebration, remember to book your flights ahead next year to experience the eve too, not just for Gawai day itself. 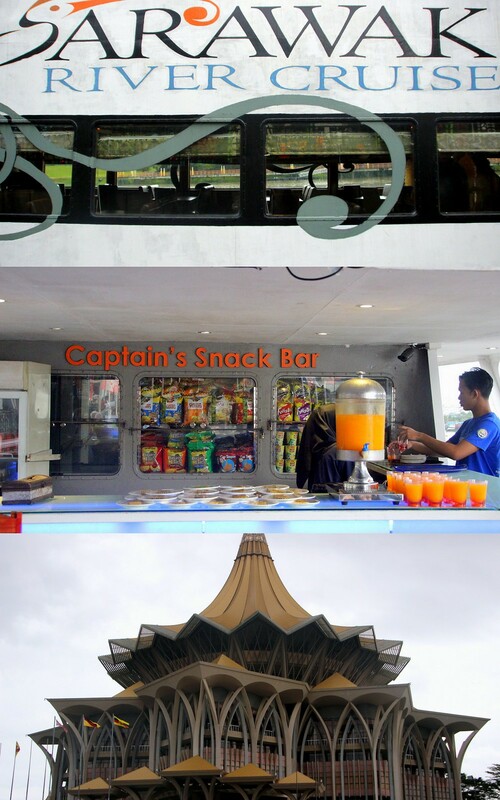 As for Kuching, it is indeed a city of endless discoveries. P.S. Gaya Guru Gerai Nyemai means long life, health and prosperity.